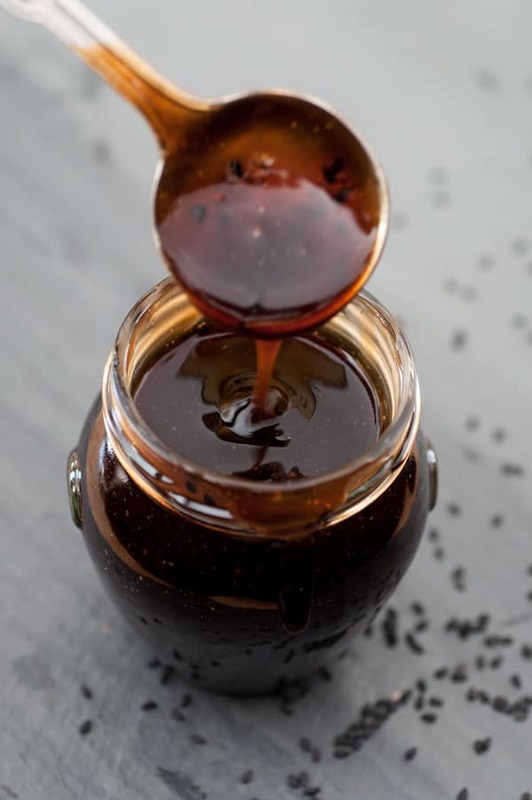 Store bought teriyaki sauce is full of refined sugar and other ingredients that you don’t need. Our homemade vegan teriyaki sauce is so much better for you. 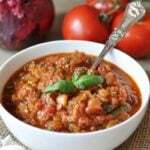 There are only 6 ingredients in this easy to make sauce and no refined sugar! 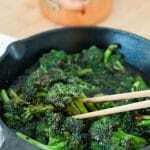 One of our favorite things to make when we’re in a hurry and want something healthy, but really tasty, is teriyaki broccoli. If you’ve had it, you know why it’s a favorite. However, store bought teriyaki sauce isn’t the healthiest food choice. Most bottled brands are made with refined sugar and ingredients you can’t pronounce. Nobody wants that, or needs it. This is a new year and we want to help you reach all of your fitness and health goals. Let’s ditch the processed foods and embrace good for you food that’s easy to make and tastes as good, or better, than the garbage that comes in bottles and cans. Even though we’ve been eating vegan, and mostly (sometimes we break open a bag of chips, we’re human) whole food plant-based, like everyone, we’re still learning. A few weeks ago I set out to make stir-fried broccoli with teriyaki sauce and realized that my bottle of teriyaki sauce was nearly empty. I was too lazy to go to the store to buy more, so I looked at the ingredients to see if I could make my own. What I saw startled me, although it shouldn’t have. There was hydrolyzed soy protein, high fructose corn syrup, and caramel color in it. Now mind you, I’ve always been a label reader, and the fact that this was in my refrigerator reminded me that I need to be more diligent. Never again will I buy bottled teriyaki sauce, because I can make my own with just a handful of ingredients in about 5 minutes. First – Gather your ingredients. 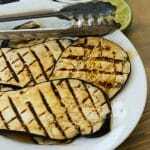 You’ll need low-sodium soy sauce, balsamic vinegar, pure maple syrup, ground ginger, ground garlic powder, and cornstarch. Second – Whisk the cornstarch with some water to make a smooth paste. Third – Combine all of the ingredients, except the cornstarch, in a small saucepan and bring to a boil. Whisk in the cornstarch and keep whisking until it thickens. That’s all! 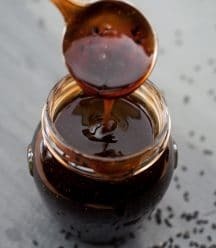 Most of the ingredients you probably already have, and who doesn’t have five minutes to make the easiest homemade teriyaki sauce? I played around with the measurements and ingredients in this sauce several times before I decided to share the recipe, and here are some notes that will help you make your own delicious version. I highly recommend using low-sodium soy sauce. It tastes the same but is much better for you. Mirin – a wine that is typically added to classic teriyaki sauce. I didn’t feel the need to add it. Balsamic vinegar worked just as well, in my opinion. If you want to add a few tablespoons, go ahead. I made a batch with coconut sugar and it just didn’t taste right. Maple syrup was a great refined sugar-free sweetener for this sauce. Add it slowly so you can get just the right amount of sweetness to suit your taste. You can use fresh ginger and garlic, but you’ll need to add more than what’s called for in the ingredients. I used ground because I wanted a smooth sauce. 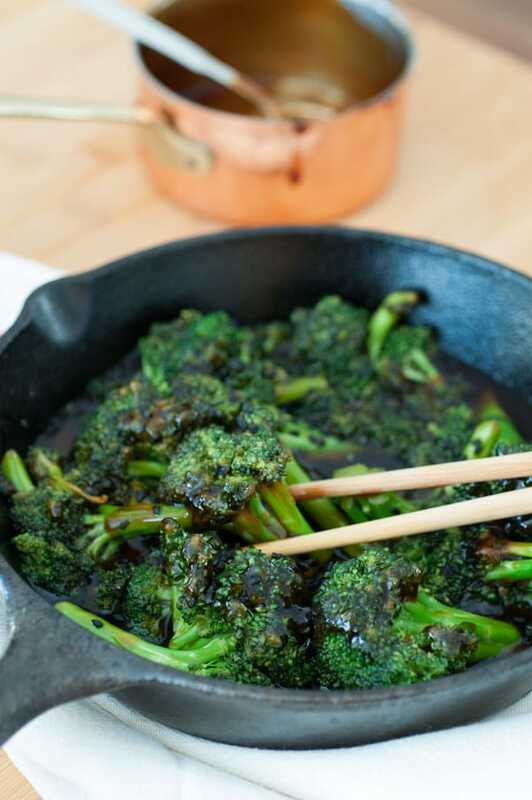 If your mouth is watering looking at this stir-fried teriyaki broccoli, well, good! We’ll share that recipe tomorrow. We just thought that our delicious simple teriyaki sauce needed it’s own special post. If you make this please come back and let us know what you think. We love hearing from you. Also, take a picture and tag us on Instagram so we can see your gorgeous creation! 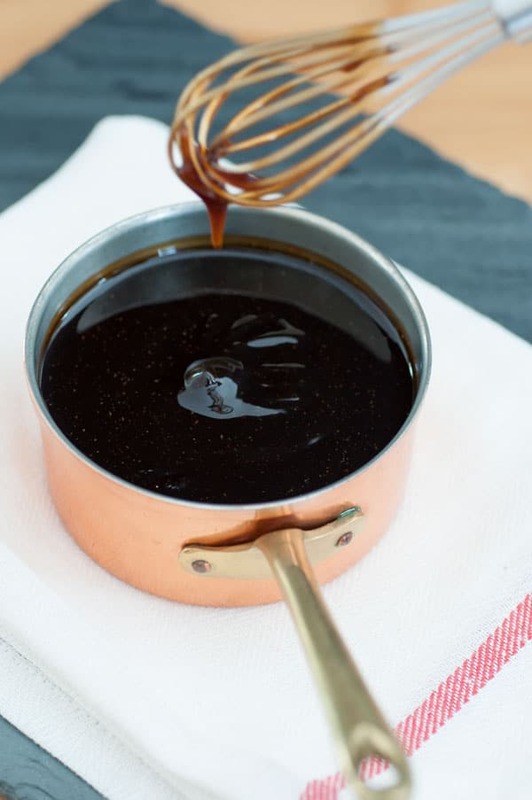 This healthy teriyaki sauce is made with only 6 ingredients! 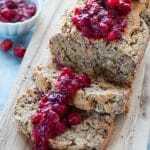 It's refined sugar-free and it's absolutely delicious! 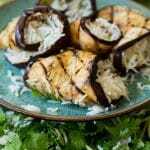 In a small sauce pan, whisk the soy sauce, syrup, vinegar, ginger and garlic powder until combined. Heat on medium-high heat until it just begins to boil, then reduce to a simmer. Whisk the corn starch and water together in a small bowl until fully combined. Whisk into the teriyaki sauce for approximately 30 seconds or until it thickens. Remove from heat. Store in an air-tight container in the refrigerator for up to a week. See the notes in the post to learn how to customize your sauce. The nutrition calculator attached to our recipe card is only an estimate. If you are counting calories and/or nutrients, please calculate the numbers on your own. It was a bit too salty for me. I added the mirin and added additonal maple syrup, and it was still salty. I used low sodium tamari. Wonder how much I could reduce the tamari by without compromising the sauce. Thanks for offering an oil-free option, at least. Hi Haley, I'm sorry to hear that. You could try reducing the tamari to 1/2 cup and see if that helps.